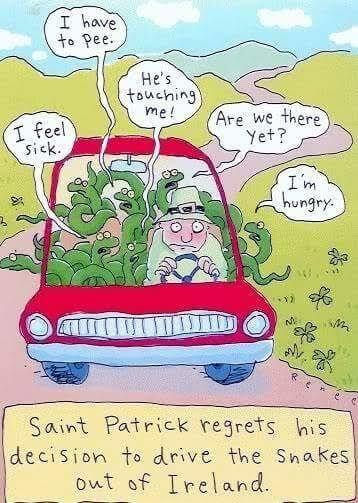 Re: Happy St. Pats day! Do you have your corned beef and cabbage ready to go? One of my favorite times of the year for that reason. None the less, a good day. Forgot to play my Irish cylinders. "Which would you rather have on hand? A grand baby, or, a baby Grand?" Ada Jones, Edison Blue Amberol four minuite. I never ate corned beef and cabbage before I got married. Never heard of it. Side meat and red-eye gravy was more my speed. I still like that, but learned to like corned beef and cabbage. I don't care so much for them separately, for some reason. I like them. Somehow, you can tell when you are going to have them too. And you can tell someone who has had it recently. Hop on the big bird, 75. Sunday supper is the day and time. There will be plenty to go around, trust me. Thanks for the kind offer, I could use some.